Dodocool's charging stand comes with magnets and an adjustable incline for easy viewing in Nightstand mode. Want a nifty Apple Watch charging dock for a buck less than it takes to buy a charging cable from Apple itself? 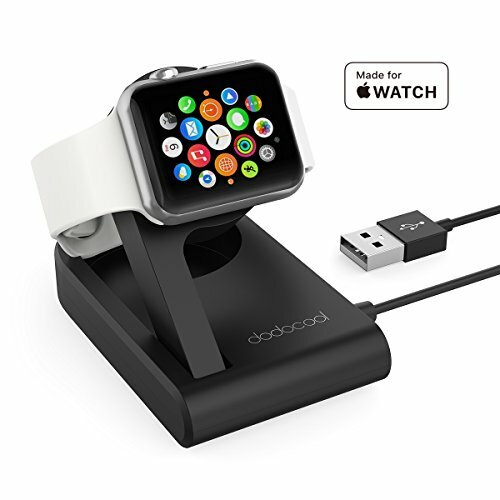 Today on Amazon you’ll find Dodocool’s MFi-certified foldable stand for Apple Watch for $28. It’s listed as $40, but you’ll see the $12 discount if you plug in the code H43FB8KU at checkout. And people love it. The stand currently boasts a 4.3 out of 5 rating from 107 user reviews, and many admire the way the stand easily collapses and fits into bags for travel. 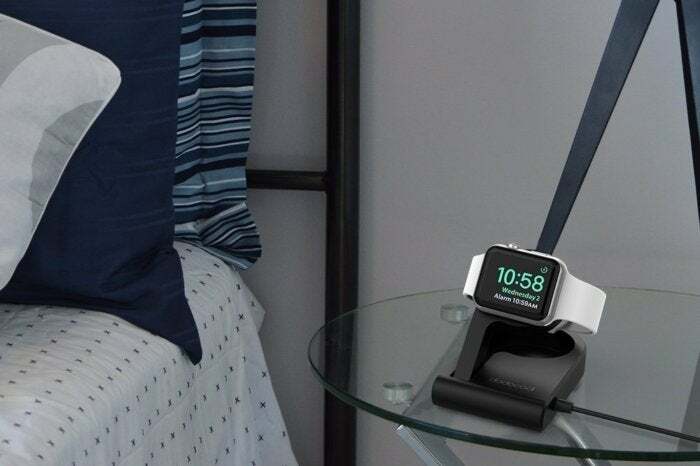 It works for every generation of Apple Watch, and the stand's slightly inclined angle makes the display easier to read while your watch is in Nightstand mode. Much as with Apple’s own charging cord, Dococool’s stand comes with magnets that easily align the Apple Watch’s charging area. As a bonus, a non-slip silicone base keeps the device in place while charging. The few complaints are relatively benign. Some users dislike that the cord is built into the charging dock itself (which means you’ll have to buy a new stand if your dog chews up the cable), and a tiny handful wish the incline in Nightstand mode was a bit steeper than 45 degrees. Considering that Apple’s own $80 charging dock doesn’t even allow for that option, though, we’ll take it.